Golden Eagle on Buck. 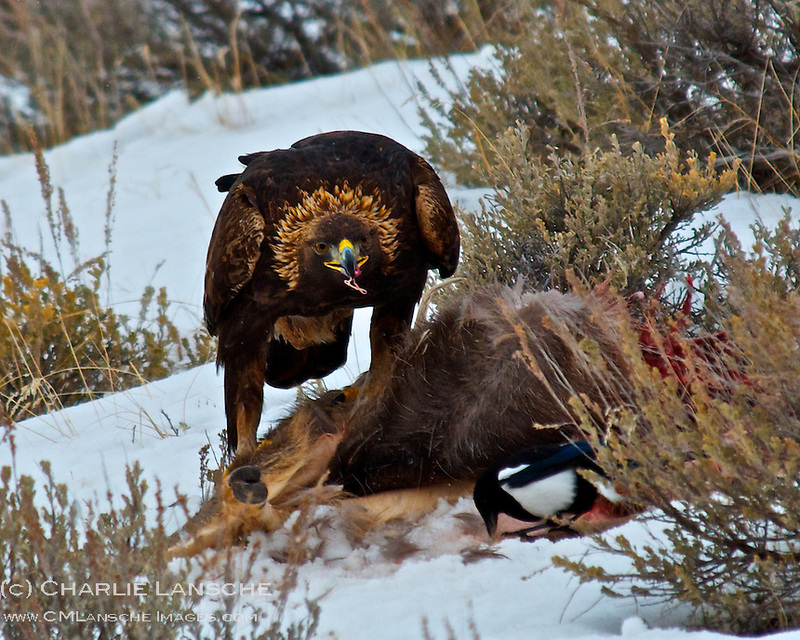 A mature golden eagle feeds on a young mule deer buck that was killed and partially devoured by a mountain lion. Summit County, Utah. Februry 2012.